The most common Sanskrit name for the Throat chakra is “Vishudda”, which means “pure” or “purification”. The Throat chakra is most commonly represented with the color blue turquoise or aquamarine blue. The auric color of Throat chakra energy can also be seen as a smoky purple or turquoise. The color of the petals is depicted as smoky purple or grayish lavender. The most commonly accepted location for the fifth chakra is at the level of the throat. 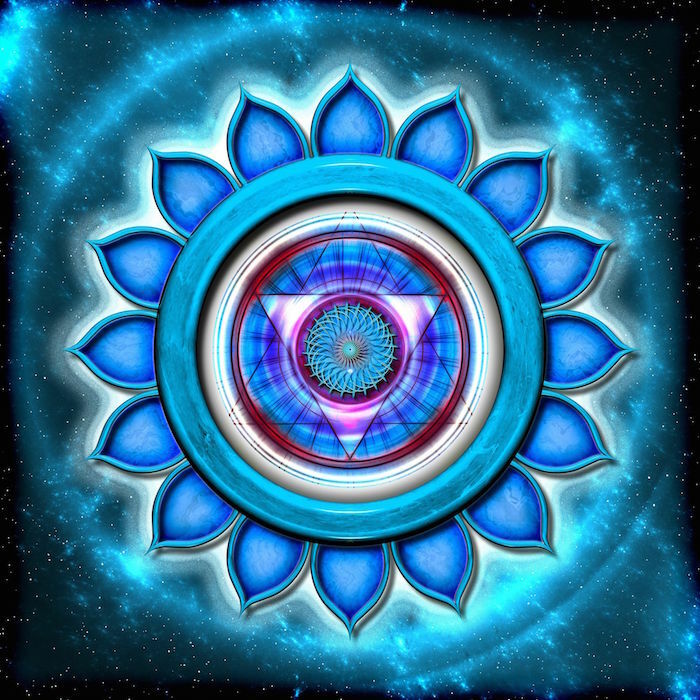 It’s important to remember that this chakra is multidimensional and is often represented as going out of the front of the throat, and going in the back at a slight upward angle.